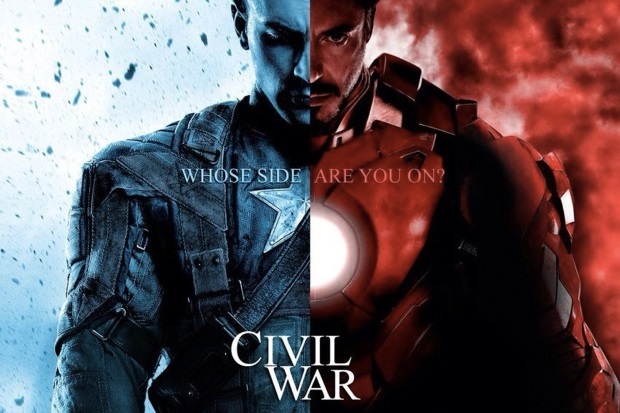 In most other years I’d be much more elated to see Captain America: Civil War. It’s mostly what I want from a superhero film, a smart film with well-done action sequences and one of the most fascinating villains the Marvel franchise has produced. Timing is part of the film’s issue, with the spate of comic book flicks wearing me out as a viewer, and the film does possess some of the issues afflicted Avengers: Age of Ultron and especially Batman v Superman: Dawn of Justice. That Civil War remains an entertaining, exciting flick despite those problems is a testament to the filmmakers’ talents and to the performances of Chris Evans as the eponymous hero and Daniel Brühl as the villain Zemo. At the heart of Civil War is the question of what the world should do with beings of enormous strength and talents who traipse around the world doing as they please. The solution in the film is to rein in the heroes with a third-party, in this case, the United Nations, providing oversight and control to these beings when they fight aliens, gods, and insane robots. It’s a solution that splits the Avengers, with one camp led by a perpetually guilt-ridden Iron Man (Robert Downey Jr.) in favor of some control over them: he’s joined by War Machine (Don Cheadle), Vision (Paul Bettany), Black Widow (Scarlett Johansson) and Spider-Man (Tom Holland). Evans’ liberty loving Captain America opposes the concept and is wary of government agendas: he has Black Falcon (Anthony Mackie), Scarlet Witch (Elizabeth Olsen), Hawkeye (Jeremy Renner) and Ant-Man (Paul Rudd) in agreement. Conflict between the camps arises after Bucky Barnes (Sebastian Stan) is accused of bombing a United Nations meeting, pitting Captain America’s old friend against Iron Man’s crew and a vengeful Black Panther (Chadwick Boseman). My main regret with the otherwise very good Civil War is the diminished presence of the eponymous hero. Evans has grown into the role beautifully since his first outing, establishing why he is the leader of a band of loaners featuring a god, a rage-fueled beast, and a lovable alcoholic narcissist. Yet the almost two-and-a-half-hour runtime features almost as much Tony Stark — a character with three films to himself — as it does Steve Rogers, and there is much more to mine from the character. Perhaps rerouting Stark's visit to Queens to meet Spider-Man (a line or two of dialogue would have covered it) into Rogers' story would have helped. As it is, Civil War is a better Avengers film than a feature on Captain America, and I’d still like to see another entry devoted to Evans’ Steve Rogers. It's a symptom of a larger problem with these superhero films, the need to incorporate as many characters as possible to build to the end game. A film purportedly about Captain America spends a sizable amount of time introducing characters like Spider-Man and Black Panther — both of whom have their own movies scheduled for release in 2017 and 2018, respectively — while balancing screen time for established characters like Black Widow (who still does not have her own film), Scarlet Witch, Ant-Man, Black Falcon, Bucky Barnes, Sharon Carter (Emily VanCamp), Vision, Hawkeye, War Machine, Iron Man and Cap himself. The villain also must receive a modicum of attention to keep the plot moving, although not quite enough to make him as vital as he should be (Brühl can only do so much with so little time). Civil War is a hefty film, but it isn't long enough to offer adequate time for all these characters and the regular plot machinations without some trimming, leaving Brühl's Zemo and Hawkeye a little left out and cutting down the quality time spent with Cap and Black Widow — a the high point of Winter Soldier. Civil War nearly pulls it all off though thanks to some terrific writing and the directing talents of Anthony and Joe Russo, who know how to stage a good, satisfying fight scene between super powered protagonists and keep the film going with ease. Even with so much time diverted to the plethora of characters the filmmakers always focus on telling a complete story with depth and nuance and one heck of a twist at the end. And Brühl's Zemo makes for a compelling, quiet villain who succeeds without the aid of super powers or impossible technology. He's cunning and ruthless and daring, yet oddly sympathetic because he fights such powerful figures without powers or even henchmen to throw at them. It’s a nice change of pace from the textbook big bads in the other Marvel properties. Civil War is a victory for comic book fans and the millions of people who will flock to theaters this weekend to see it. The film is on the upper end of what the genre has to offer, offering a good balance of smarts and brawn while effectively setting up the massive two-parter three years down the line. It's still admittedly a slight step down from Winter Soldier -- arguably the best of the recent Marvel films — but Civil War is still wicked good superhero movie.